Jam-Master Jay wrote: Goku's voice is a bit jarring at first for sure but I now prefer it over the dub I grew up with. Yeah, the voice perfectly fits this more childlike version of Goku we have in Super. That brings up another issue with the series - in Z, Goku felt like he had grown up and was all about being the hero who saved the Earth and Universe. We hardly ever got to see his goofy side bar a few gags with King Kai and Chi-Chi as there was always some world-ending threat looming. Cut to Super and Goku is back to his original self but in his adult body and I really don't know how well the dubbed voice will fit this version of the character. 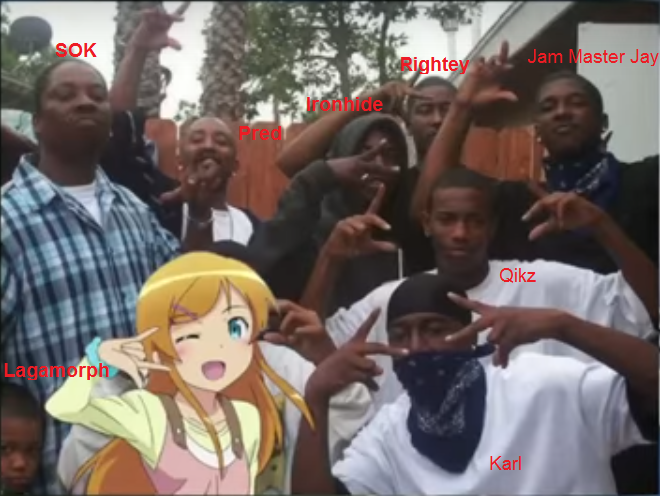 Dat anime and manga crew pic. Berserk returns 22nd of December. Prison School is possibly ending in the next issue. Hunter X Hunter returns in January. There's also been an announcement of a BnHA anime movie for next summer. Jam-Master Jay wrote: Berserk returns 22nd of December. *Hnnnnnnnnnngh* at that last bit of news. What will it cover though? I can't wait for this arc to not play out to completion before the next hiatus. It's either going to be the happiest moment in the series or the worst. There is no middle ground. And I'm pretty sure it's going to be bad because Guts has been too happy lately. Yeah, I bet another haitus hits after 4 or 5 chapters. We're on the verge of Casca becoming her old self, but as this is Berserk I'm half expecting her to reject Guts or be too traumatised for anything. I can only hope we get to see Guts slowly and methodically kill Griffith some day. EDIT:the laws governing how nen works is actually pretty cool. So yeah, I take back my previously stated objections about it. Nen is right up there with Stands for most well thought out and interesting abilities. The most recent arcs have had some of the best nen battles in years. 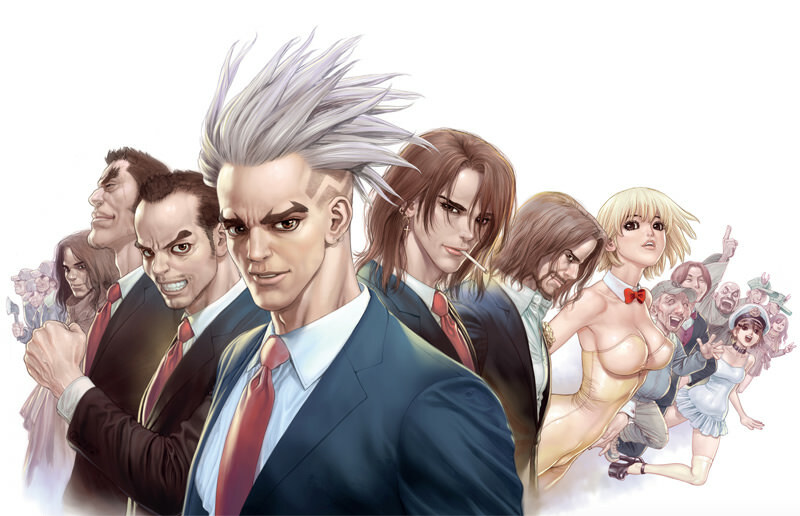 I say this every week, but Dr. Stone is such a great read. Perfect balance of humour and drama - it's already hitting the top rankings of Jump and when it gets an anime announced it is going to be huge. 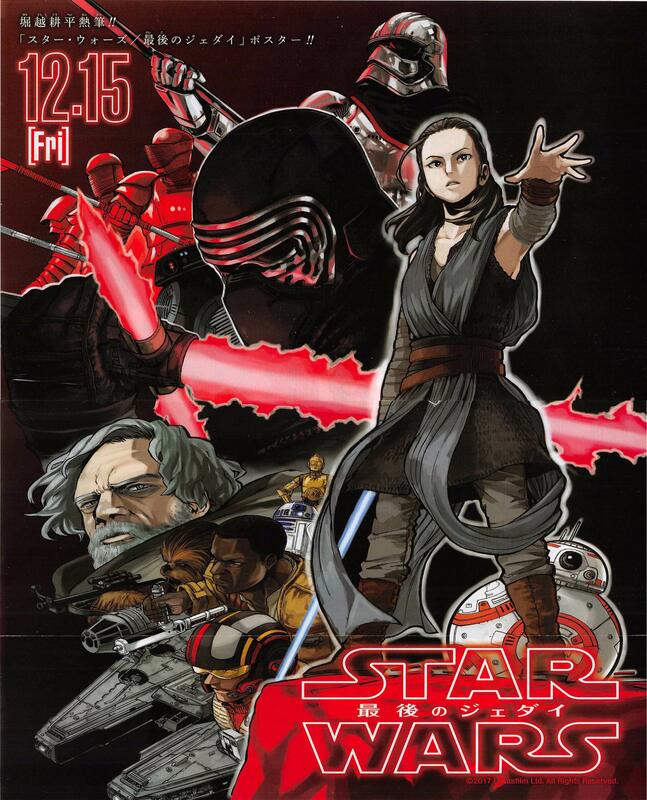 Also, Last Jedi poster by BnHA's Horikoshi. 100+ page chapter of One Punch Man. Reminder that King is the best. Jam-Master Jay wrote: Nen is right up there with Stands for most well thought out and interesting abilities. The most recent arcs have had some of the best nen battles in years. That poster looks odd. Some characters (namely Empire lot and Rey) look fine, everyone else (including the logo) looks misshapen. 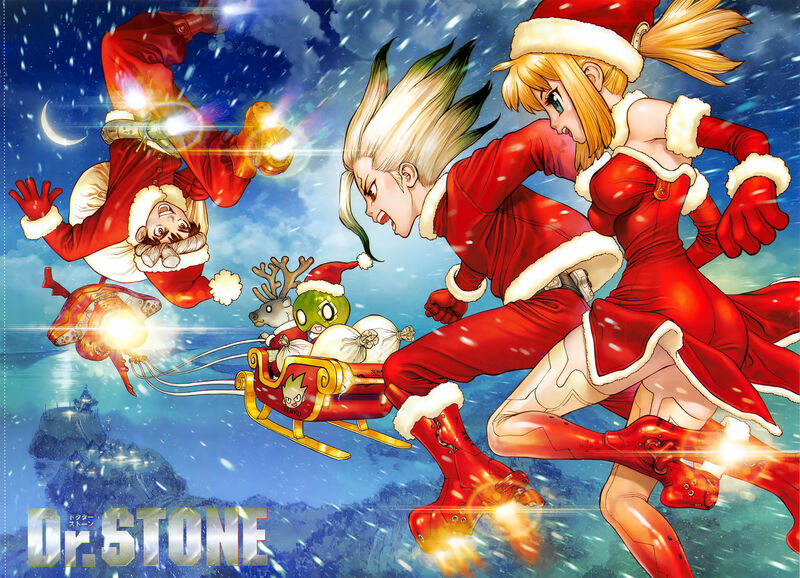 Yeah, Dr. Stone's artwork is done by Boichi though he has somewhat simplified his style to fit a shounen mag. It's also written by Inagaki Riichiro of Eyeshield 21 fame. Agreed about the Star Wars poster, It's like they've edited the mid-lower half to fit a standard poster size but I still love it. Kurapika has got to have one of the most complicated, headache-inducing set of nen abilities yet I love him for it. HxH 47: ( ,..) I hope that wasn't the beginning of a slow decent for Kurapika. The burying scene was messed up. Read the first 2 volumes of Terra Formars recently. 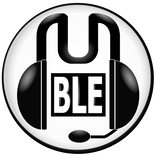 This is rather good isn't it? I've been struggling to read new things for over a year now but decided to give Kingdom another go tonight. Quite enjoying it so far, just got another 500 chapters to go. Lastpostamorph wrote: Read the first 2 volumes of Terra Formars recently. It's great for a number of volumes but sadly lost the plot after a while. The translation & scan quality also dropped off massively so I've put it on hold for the time being until the official English release catches up or a new team takes over. It's the official translation I've been reading so scan quality should be good at least. Just checked my usual site and it seems the scans have all been updated with a decent translation. Last time I read it, it was like someone had just added the text to google translate so you can imagine how bad it was. Guess I'll be joining you and finish the series off. Edit: Boku no Hero Academia Season 3 PV.